This is the gadget version of the Santa Sleigh Countdown. 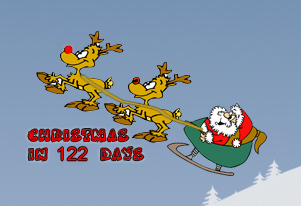 This will countdown the days until Christmas, and should work on any Windows desktop.Enjoy! THis gadget is the coolest! Thanks for the update, ID!